Bangladeshi Militants: What Do We Know? Although militant groups have been present in Bangladesh since the 1990s, the country catapulted to international media attention on July 1, 2016, after an attack on a café in the upscale neighborhood of the capital Dhaka. The Islamic State claimed responsibility for the attack which killed 29 people, mostly foreigners. The attack came in the wake of a series of attacks on religious and ethnic minorities, foreigners, liberal activists, authors, and publishers by both an AQIS affiliate and ISIS. The government denied the existence of militant groups tied to international terrorist organizations. Despite these developments and instances of Bangladeshis joining the ISIS in Iraq and Syria, there has been very little in-depth discussion about who these militants are and what is driving Bangladeshis to militancy. This article addresses this lacuna. 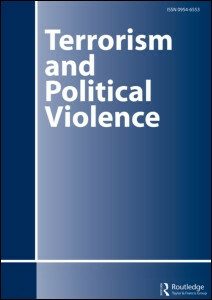 This paper examines the common traits of alleged Bangladeshi militants and explores the factors of radicalization. Drawing on media reports of the profiles of the alleged militants, between July 2014 and June 2015, and between July 2016 and August 2017, the article finds that most of the Bangladeshi militants are young, educated males increasingly coming from well-off families. We have also found evidence that four factors—social relationships, use of the Internet, personal crises, and external relations—appear most frequently in the narratives of Bangladeshi militants.